The concept of a self driving car is far from new, with concepts regarding these kinds of vehicles dating back to the Renaissance period. Yet it’s only in the past decade that technology has been sufficiently advanced to allow the automotive industry to finally make great strides towards a real self driving car. Now experts predict the widespread acceptance of use of the self driving car within the next decade, or possibly within the next few years alone. So how are the various parts of the automotive industry, specifically the millions of subcontractors supporting the manufacturing, going to adapt to this new self driving car trend? Here’s a few predictions on how subcontractors should be preparing their businesses for the change. First, the sheer amount of advanced electronics required for each self driving car will change the use of subcontractors significantly. PwC predicts that over 50 percent of the cost of an automobile manufactured in 2030 will be spent on electronics alone. Expanding your work as a subcontractor in the automotive industry should include a focus on engaging the electronics side of a self driving car in whatever way you can. Plenty of frames, safety features, brackets, and other secondary parts will be needed to hold advanced electronics in place in the self driving car. 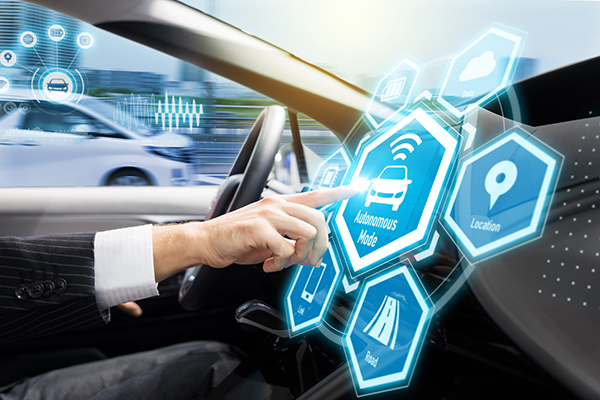 Work with servo designers, chip manufacturers, and other trend setters in automotive industry electronics to develop new products and services as the self driving car trend expands and grows. Demand for new subcontracting services is sure to grow within the automotive industry to help manufacturers each produce their own self driving car. Since all those new electronic parts will require extensive programming for seamless communication between dozens of systems and safety features, the automotive industry will require thousands of new programmers for the transition into a new manufacturing mode. The programming that ensures each self driving car is safe and efficient will become just as important as the parts themselves. Consider hiring your own programming department to expand the services you’re offering to subcontract to the automotive industry. Getting started now ensures you’re ahead of the trend rather than trying to catch up later after there’s a self driving car in every driveway. Since the competitive edge for the self driving car is expected to rely on highly advanced safety features, the prototypes required by the automotive industry will rise in complexity as well. Manufacturers already request working and high fidelity prototypes early in the development process to share with consumers and investors, and this trend will continue to grow in the automotive industry with the advent of the self driving car. Consumers definitely want to see prototypes up close and personal before investing in the pre-orders necessary to help get the self driving car design out of the factory and onto the roads. The transition from mechanical parts to finely tuned electronics also reduces the amount of work a car owner and driver can do on their own. This has the biggest impact on the aftermarket and repair sector of the automotive industry. The self driving car requires repairs from a trained mechanic who can handle both the programming and physical maintenance needs of the car at the same time. Even if the aftermarket or repair part of the automotive industry represents a small percentage of your total business right now, you should be prepared to change over to marketing to dealership and professional repair businesses rather than directly to vehicle owners. The magic of the self driving car lies in the ability of the systems of the car to communicate with each other seamlessly and quickly. In case of an accident, the self driving car has less than a second to react, so every part of the car will be held to a higher standard than with the vehicles manufactured right now by the automotive industry. Increasing your internal standards now as a subcontracting service will help you market your higher part tolerances and greater quality products to the changing automotive industry that demands higher standards for self driving car parts. Finally, performance is likely to become less of a selling point with the self driving car that modulates its own speed for efficiency and safety purposes. This leads to a greater focus on secondary features among the automotive industry, which may include entertainment, comfort, and even work stations in the self driving car. Expanding your services to embrace these once optional features can help you predict changes in manufacturing demand. Connect with the manufacturers already preparing to roll out their own self driving car projects by listing yourself today on European Subcontracting Network.